In early October of this year, after attending an OSCE human rights meeting in Warsaw, Poland, Mirzorakhim Kuzov, a senior leader of the Islamic Renaissance Party of Tajikistan (IRPT), was detained by Greek police at passport control at Athens Airport. Kuzov was held under an Interpol ‘Red Notice’ warrant released by Tajik authorities, who accuse him of politically motivated extremism. On the 1st of December 2017, Kuzov was released from detention; the Greek court ruled out his extradition to Tajikistan on the grounds that charges against Kuzov were politically motivated. Since 2015, the Tajik government, under the mantra of the “war against terrorism”, is pursuing its most intense human rights crackdown with the banning of the country’s main democratic opposition parties: IRPT and Group 24. The Tajik government has labelled these opponents as “extremist” groups in order to discredit them and legitimise security measures against their members. Further, the systematic jailing of political opponents and the country’s independent legal professionals, as well as the harassment of journalists and nongovernmental organizations, is rapidly becoming ‘normality’ in Tajikistan. Moreover, retaliation and collective punishment against the relatives of perceived government critics, in and outside the country, has been a constant feature of the crackdown. The authorities have often targeted the relatives of activists who have fled abroad and continued their vocal activism in exile. Since 2015, as the Central Asia Political Exile (CAPE) Database demonstrates, the government is systematically targeting critics and dissents abroad, by seeking their detention and extradition back to Tajikistan. 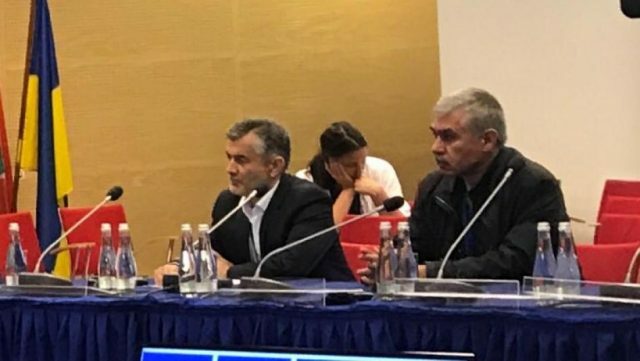 In September 2016 for instance, Dushanbe used tactics of collective punishment to retaliate against activists abroad who took part in a human rights conference set up by the Organization for Security and Cooperation in Europe. Another tactic employed by the government is the practice of enforced disappearance to silence opposition critics. In 2015, Maksud Ibragimov, the activist for the Youth for the Rebirth of Tajikistan movement was abducted in Russia and sentenced to 17 years’ imprisonment upon his forced repatriation to Tajikistan. On the 29th of November, the Supreme Court of Russian Federation decided to extradite Khurshed Odinayev, a citizen of Tajikistan, to his homeland despite the ban of the European Court of Human Rights (ECtHR). It’s important to note that prior to this decision, the Tadjik citizen, was also kidnapped from Federal Penalty Service Belgorod region on, two weeks before his release date from detention. Khurshed Odinayev was detained at the request of the Tajik authorities and placed in Belgorod City SIZO-3 (pre-trial detention centre) in the autumn of 2016. Back in his home country he is accused of supposedly engaging fellow citizens in military operations on the territory of other countries while staying in Russia. Dictators around the world have embraced INTERPOL as a repressive tool to persecute dissidents beyond their home borders. In December 2017, the head of the national bureau of Interpol in Tajikistan, Abdugaffor Azizov told in the media, that the government has put 2,528 citizens of Tajikistan on the list of internationally wanted fugitives. In recent years, as our data demonstrates, the Tajik government has tried to control and persecute dissidents and activists abroad by issuing politically motivated ‘Red Notices’ through INTERPOL. Bruno Min from the organisation Fair Trials also notes that authoritarian states have misused INTERPOL mechanisms of international cooperation to export human rights abuses. The issue of politically motivated ‘Red Notices’ has led to the wrongful detention of many innocent victims, as in the case of Mirzorakhim Kuzov. The US government acknowledged Tajikistan of misusing terrorism allegations as a pretext to target independent voices, including dissidents living abroad. On the 9th of November 2016 INTERPOL adopted a set of reforms to address these concerns. The reforms aim to strengthen the internal review process and make delisting decisions of the targeted individual binding on the organization rules and respect of human rights. Yet so far the implementation of these reforms to stop abusive requests from authoritarian states has been poor. As the case of Mirzorakhim Kuzov demonstrates, the real challenge for INTERPOL is to effectively review and distinguish between genuine criminal cases and those that are politically motivated. Tajikistan’s appalling records in human rights, torture, enforced detention and forced repatriation of dissidents and political activists in and outside the country raises serious concerns, yet the international outrage, particularly from the European Union (EU), is barely audible. The EU’s current Central Asia strategy, adopted in 2007, forms the political template between Brussels and Central Asia’s five former Soviet republics. Given the rapid deterioration of human rights and freedom of speech in Tajikistan but also in the other four Central Asian states as CAPE database demonstrates, it is increasingly important to address human rights abuses in the region. Clearly future bilateral and international agreements in the region should leverage economic and foreign aid support based on meaningful human rights progress in the region, anything short of that would likely to result in empty promises. Ferghana News 2017. ‘Greece refuses handover of Tajik political activist’. 1 December,2017. [Online].Available at: http://enews.fergananews.com/news.php?id=3629&mode=snews [Accessed: 10 December, 2017]. Lemon, E. 2016. ‘The long arm of the despot’.Open Democracy. 24 February 2016. [Online]. Available at: https://www.opendemocracy.net/od-russia/edward-lemon/long-arm-of-despot [Accessed: 10 December, 2017]. Human Rights Watch,2016. ‘Tajikistan: Severe Crackdown on Political Opposition US, EU Should Urgently Raise Abuses’. 17 Feb. 2016. [Online]. Available at: https://www.hrw.org/news/2016/02/17/tajikistan-severe-crackdown-political-opposition [Accessed: 10 December, 2017]. Putz C., 2016. ‘OSCE Manages to Irritate Tajikistan, Kyrgyzstan and Human Rights Advocates, Too’. The Diplomat. September 27, 2016. [Online] Available at: https://thediplomat.com/2016/09/osce-manages-to-irritate-tajikistan-kyrgyzstan-and-human-rights-advocates-too/ [Accessed: 10 December, 2017]. Human Rights Watch, 2017. ‘Moldova: Activist Faces Extradition to Tajikistan Forced Return Could Lead to Torture, Ill-Treatment’. 17 August, 2015. [Online]. Available at: https://www.hrw.org/news/2017/10/10/how-eu-should-tackle-tajikistan-crackdown [Accessed: 10 December, 2017]. Galeotti, M. 2016. ‘RepressIntern”: Russia’s security cooperation with fellow authoritarians’. 22 November, 2016. [Online]. Available at: https://www.opendemocracy.net/od-russia/mark-galeotti/repressintern-russian-security-cooperation-with-fellow-authoritarians [Accessed: 10 December,2017]. Ferghana News, 2017. ‘Supreme Court of Russia ignores European Court of Human Rights ban on extraditing Tajik citizen’. 29 November, 2017.[Online]. Available at: http://enews.fergananews.com/news.php?id=3625&mode=snews [Accessed: 10 December,2017]. Interfax, 2017. ‘Almost 1,900 Tajik terrorists wanted by Interpol – Dushanbe’. 23 November, 2017. [Online]. Available at: http://www.interfax.com/newsinf.asp?pg=8&id=792406 [Accessed: 10 December,2017].